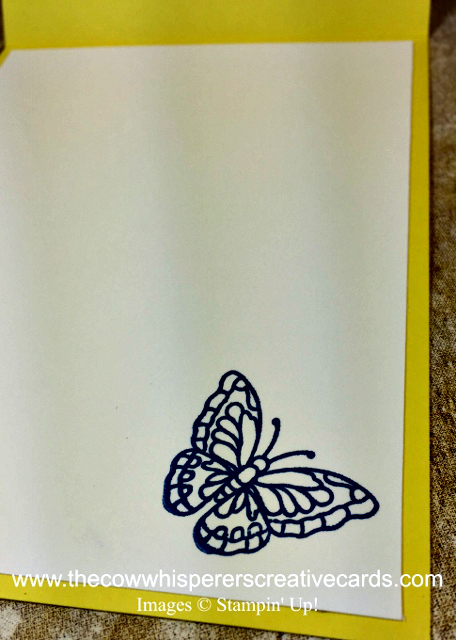 I'm using the new Painted Glass Stamp Set today in my clean and simple cards. 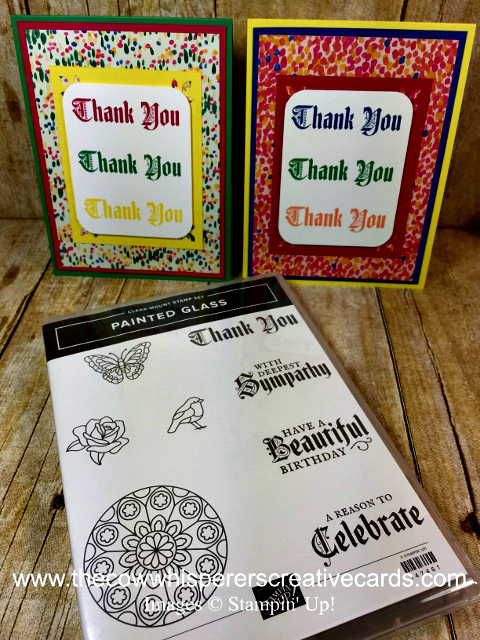 I love the font Stampin'UP! chose to pair with the gorgoeus images. 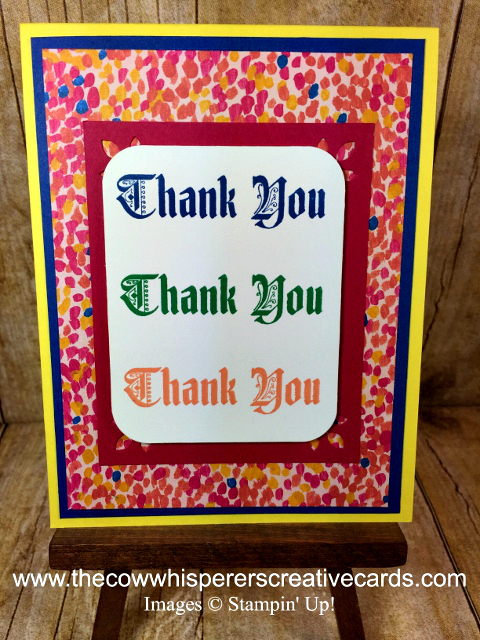 If you are wondering how I was able to line up all of my Thank Yous perfectly straight then check out the video below. I will show you how the Stamparatus is designed to make this technique a breeze. Look closely at the rounded and floral punched corners, don't they add an awesome detail to these cards. 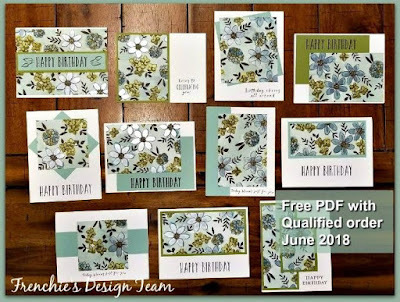 I was able to create this look using the new Detailed Trip Punch and it literally takes seconds, which you know me, I'm loven that ;) If you love the new incolors then you will love the Garden Impressions Designer Series Paper I chose for the background on both cards. It just makes the cards feel so cheery. 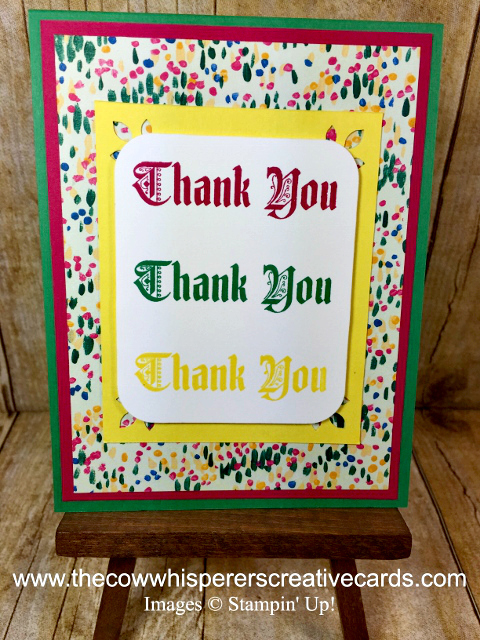 Card Base - Pineapple Punch - 11" x 4 1/4" Scored at 5 1/2" First Layer - Blueberry Bushel - 5 1/4'' x 4" Second Layer - Garden Impressions Designer Series Paper - 5" x 3 3/4" Third Layer - Lovely Lipstick - 3" x 3 3/4" Fourth Layer - Whisper White - 2 1/2" x 3 1/4" Inside Layer - Whisper White 5 1/4" x 4"